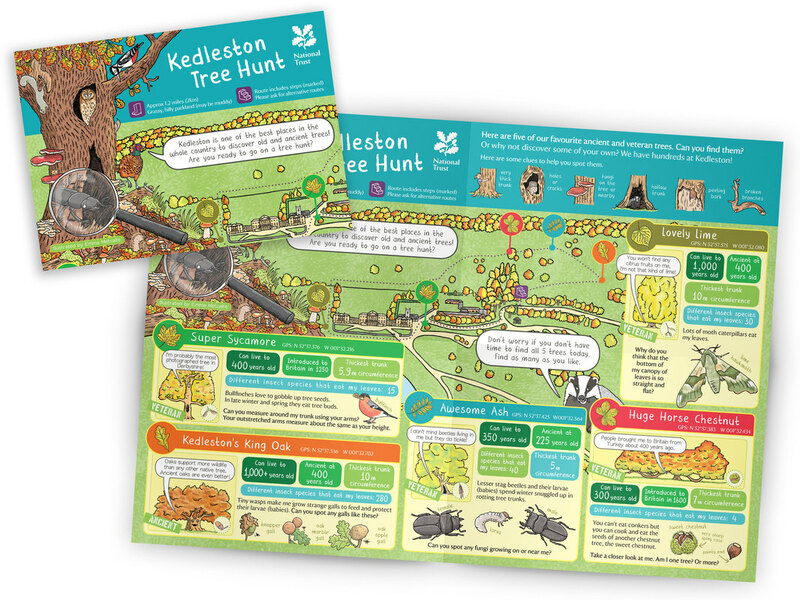 Children's illustrator and trail designer Emma Metcalfe was commissioned to devise and illustrate a bespoke seasonal trail for children and families visiting Kedleston Hall in Derbyshire. The trail encourages visitors to discover the many ancient and veteran trees throughout the parkland. The trail format is an A5 8pp cross-fold leaflet which opens out to A3. The front has a map of the parkland with the locations of key trees identified. 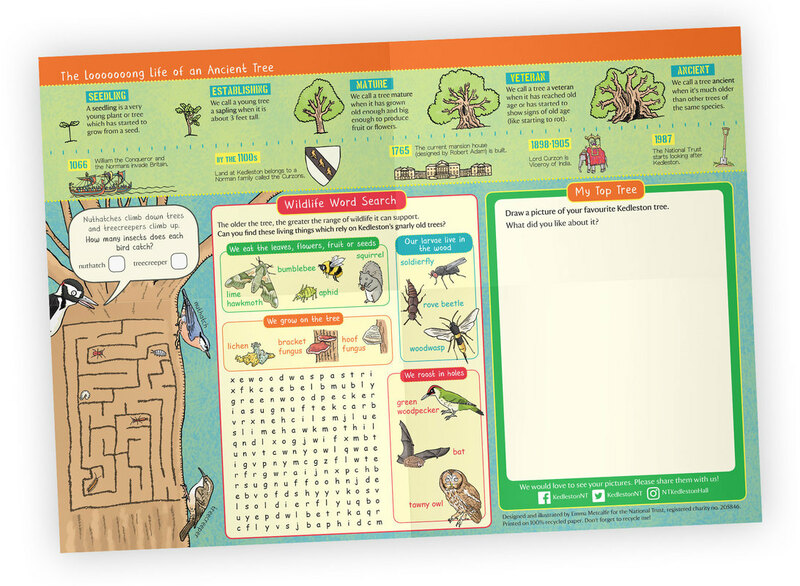 On the back is a page of children's activities including a wildlife wordsearch and a maze activity where you have to help a nuthatch and treecreeper find insects to eat. 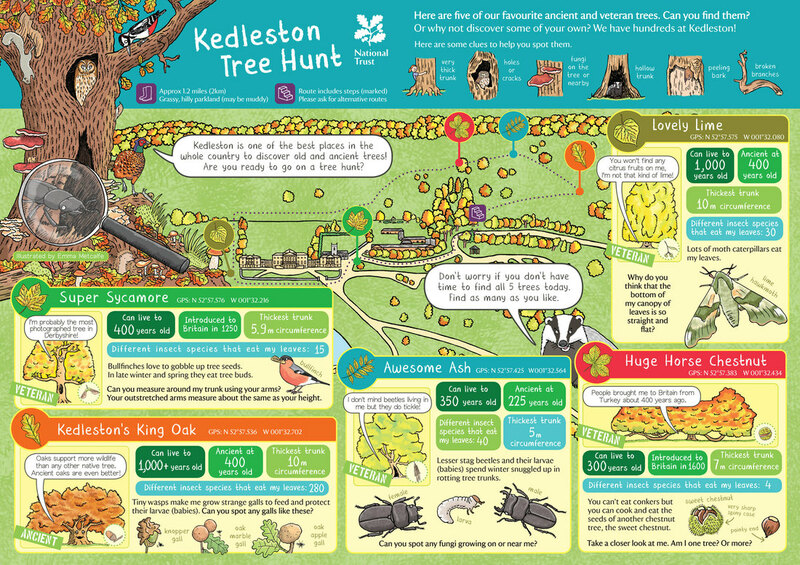 Kedleston Tree Hunt will be available during Autumn 2018 opening.